So how did a “side agreement” with the IAEA and Iran allowing Iran to self-inspect some of their nuclear sites get approved by the U.S. and other major countries at the negotiating table. After the Cold War, using the ever popular phrase “Trust but verify” we monitored the destruction of sites in Russia and Ukraine. 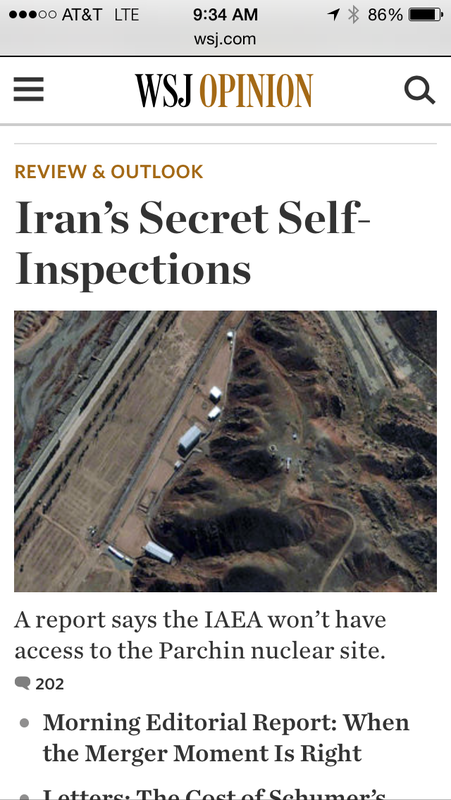 How in the world would we allow Iran to self-inspect and or self report on nuclear sites. We already know they will report compliant with these sites… Some of which they won’t publicly acknowledge. How many other side agreements are hidden in these agreements? I think Congress will take the approach and sideline this agreement until all of these hidden deals are exposed. Until then I support rejecting this agreement with Iran. Too many questions with an unreliable country. The stakes are too high for the Middle East.